This typeface is no typeface at all. 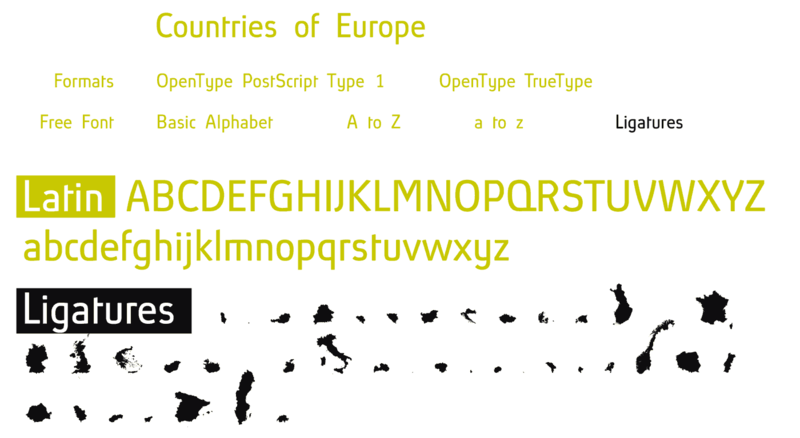 It simply uses the new OpenType-Technique for fonts in order to specifically place the outline of a country on the monitor. The font is made up of the upper and lower case alphabet, A to Z and a to z. 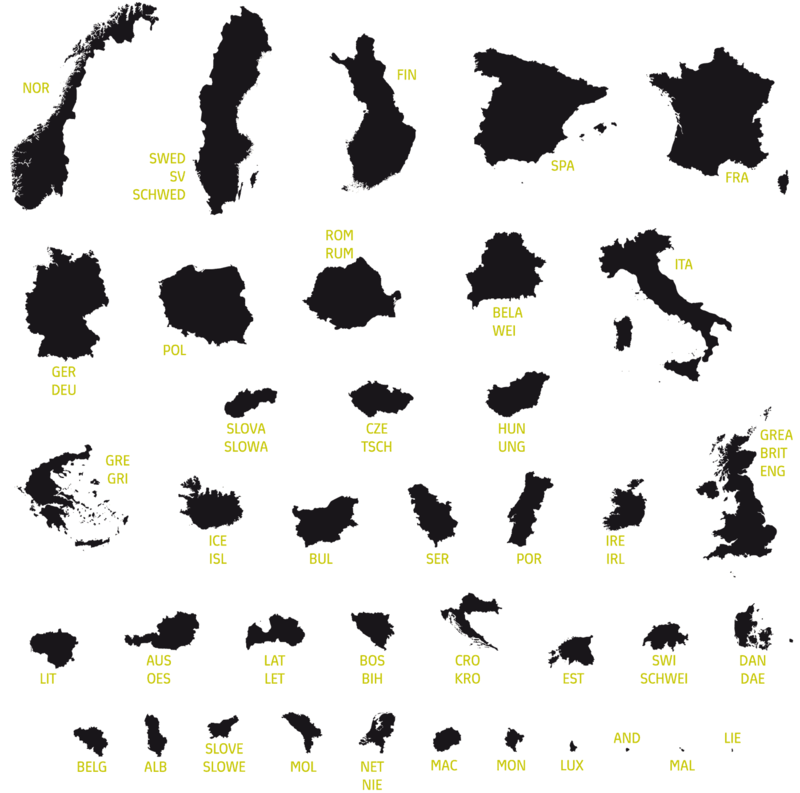 And here are true-to-scale silhouettes from 39 European nations. Just type the first letters of the name of the country and immediately the country appears — for example »ir« for Ireland or »SWED« for Sweden. The font includes the following nations: Albania, Andorra, Austria, Belarus, Belgium, Bosnia and Herzegovina, Bulgaria, Croatia, Czech Republic, Denmark, Estonia, Finland, France, Germany, Great Britain, Greece, Hungary, Iceland, Ireland, Italy, Latvia, Liechtenstein, Lithuania, Luxembourg, Macedonia, Malta, Moldova, Montenegro, Netherlands, Norway, Poland, Portugal, Romania, Serbia, Slovakia, Slovenia, Spain, Sweden and Switzerland.